Can I get HolyTabbs in 0ther languages? 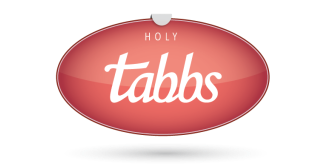 Currently, we only offer HolyTabbs in English. We are working on expanding our language options, and will be approaching this task based on popular demand. If you really want our product in a particular language, shoot us an email! Where can I purchase HolyTabbs? HolyTabbs is available for purchase on our online store, and in Deseret Book, the BYU Bookstore, and local LDS Bookstores all over the country. Can I get just the insert without getting the kit? Yes. We have individual skins available for purchase in our online store. Your order will usually ship within 2 business days and takes about 3 business days to get to you, via USPS First Class.